American Airlines is changing how you earn miles and qualify for elite status, as well as adjusting some of its redemption rates for award flights. 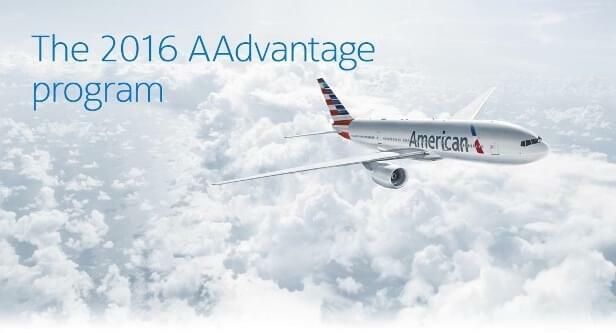 These changes, which have been rumored for months, will hit the AAdvantage program starting in March 2016. The news isn’t all bad. Some changes will benefit members, such as the simplified elite status earning system and the new short-haul redemption level, but others, particularly earning rates on economy flights, will sting a bit. The biggest change is that passengers will now earn miles based on how much a ticket costs, instead of the distance flown. Under the new system, which is similar to Delta and United, non-elite AAdvantage members will earn five miles for every dollar they spend, while Gold members get seven miles, Platinum members get eight and Executive Platinum members get 11. For those flying economy, particularly on long-haul international flights, these changes will probably not be in your favor. But if you’re booking business or first tickets, which cost more money, you’re likely to earn more than you would under the current system. What about flights on partner airlines? Although the airline promises to release more details later, it said that miles earned on those flights will be based on a combination of the the fare booked and the flight distance. American is also adjusting some redemption levels. Routes to Europe will require more miles, while those to Mexico, the Caribbean and Central America will cost less. In general, economy rates won’t change much, but business and especially first class awards on long-haul flights will increase. One welcome change is that short-haul flights under 500 miles in the U.S. and Canada will be only 7,500 miles each way. AAdvantage is rolling out a new simplified way to earn elite status. It’s doing away with points, opting instead for just miles and segments flown. This means you’ll earn your way to elite status on all flights, regardless of the cost or the length. That’s great news. 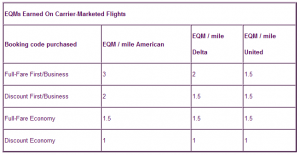 Below is a chart that compares the number of Elite Qualification Miles (EQMs) you’ll earn by fare class for the big three: American, Delta and United. 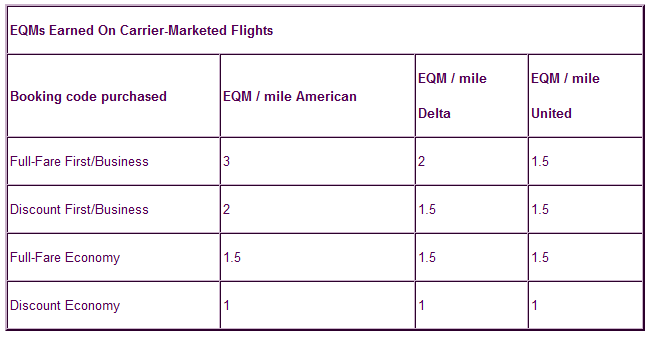 As you can see, American will offer more EQMs than its competitors for business and first class tickets. Upgrades for Gold and Platinum members will also change, with the number of EQMs needed increasing from 10,000 to 12,500. Once members reach that mark, they’ll receive the same award of four 500-mile upgrade certificates. Executive Platinum members will get only four upgrades, instead of the current eight. But they will earn two more after flying 150,000 qualifying miles, and another two after 200,000 miles.